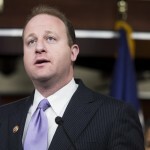 U.S. Rep. Jared Polis, a Democrat from Boulder, Colo., sharply criticized White House Press Secretary Sean Spicer’s denial that Adolf Hitler used chemical weapons during World War II. Spicer made the comments during Jewish festival of Passover, drawing widespread condemnation and even some calls for his termination as press secretary. 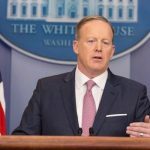 “As a member of the Jewish community, I am hurt every time our history is denied, and as an American and human being, I am appalled by Sean Spicer’s recent assertion that Hitler did not use chemical weapons,” Polis said late Tuesday in response to Spicer’s comments earlier in the day. “We didn’t use chemical weapons in World War II. You know, you had a, you know, someone as despicable as Hitler who didn’t even sink to using chemical weapons,” Spicer said in an attempt to impugn both Syrian President Bashar al-Assad and his Russian allies. In fact, the Nazis used hydrogen cyanide gas at concentration camps as one of many lethal weapons in their overall mass murder of an estimated 6 million Jews from all across Europe. Spicer later tried to clarify his comments. On Wednesday, Republican U.S. Rep. Mike Coffman of Aurora called for Spicer to resign. The Trump administration has been accused of anti-Semitism for a variety of reasons, and President Donald Trump drew fire from the Jewish community during his controversial campaign in 2016.